The literature on stress and immunity clearly demonstrates that stress exposure modifies certain aspects of immune function. While stressful experiences and stress-associated molecules have well-documented effects on the activity of lymphocytes, stress exposure may disrupt processes that occur earlier in the immune response. Stress-induced alterations in immune function may, in part, result from changes in the development and/or function of cells involved in the initiation of the response, namely dendritic cells. Although the literature is relatively limited, the findings suggest that stress-associated hormones and neuropeptides can modulate maturation and migration of dendritic cells. 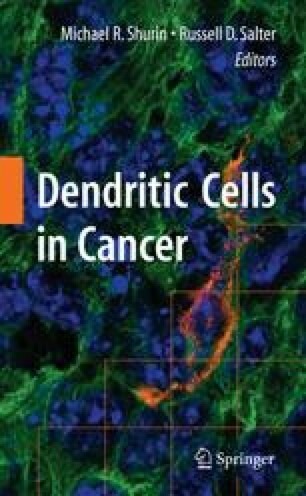 The present chapter concentrates on stress-related alterations in dendritic cell function and the potential relevance of psychological factors to the progression of cancer and to the effectiveness of therapeutic treatments. Support contributed by grants MH60706, NIEHS P30 ES05022 and NIEHS Graduate Training grant 5T32 E507148.